HTH Chlorine has a typical chlorine content of 68 percent. HTH Chlorine can also substantially reduce a pools TDS Level. 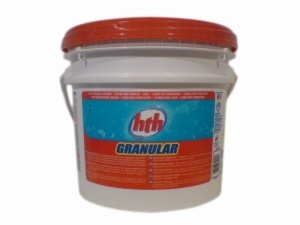 HTH Chlorine reduces pool plant corrosion and helps prevent grout erosion. It visually and physically improves water clarity which improves the bathers comfort.